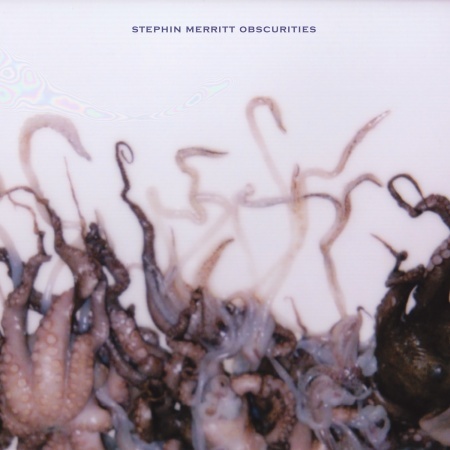 Co-nominees (along with maybe Ghostface Killah but not Craig Finn) for the Best Songwriter of Their Generation award, the Magnetic Fields’ Stephin Merritt and The Mountain Goats’ John Darnielle share a seemingly inexhaustible well of not just songs and cleverness, but also concepts. That last one is what they’re most renowned for—but it’s also sort of what kills them. Sure, their reasons for earning that generational title are conceptual; the Magnetic Fields’ 69 Love Songs and The Mountain Goats’ Tallahassee and We Shall All Be Healed hang together as music and themes with few peers. But then their slow accumulation of huge fanbases led them to diminishing returns. The Goats’ The Sunset Tree was a musically riveting but less literary child abuse journal; Get Lonely a conventionally mopey breakup record from a happily married guy out of ideas. It wasn’t a big surprise that Darnielle’s little-noticed record Undercard, under the Extra Lens pseudonym with juicy guitar buddy Franklin Bruno last year, was his best album-as-album in a while. All the songs were self-contained and laser-focused on melody rather than any overarching picture, and it was about half an hour long. Merritt’s 2008 Distortion was a cute fake rock record with career highlights (“The Nun’s Litany,” “I’ll Dream Alone”) that let’s just say didn’t number to 69. Its acoustic flipside Realism added a couple more (“You Must Be Out of Your Mind,” “The Dada Polka”) but boded confusingly. The songs were less funny, yet sounded more like novelties than ever. His excellent new collection Obscurities cheats, because its material is firmly mined from 1994-1999, but its selection—probably from dozens of candidates—is purely a 2011 coup, taking the pressure off to come up with something new by gluing old unused pieces together in ways Merritt could not think of in 1994-1999, and improving some old songs in the process. Most telling is how glad he is to be free of concept—Obscurities contains songs from five(!) different projects, all of them rescued from any context but musical, which is all the overwhelmed guy who made five projects in the first place wants to focus on in his old age. The two Magnetic Fields remakes improve subtly yet definitively on the versions that ended up on proper albums. The sleepy original “Take Ecstasy with Me” was always a little overrated by Merritt’s cult (despite my suspicions that it would fit right on an excellent late-period Yo La Tengo album). But no more: it’s now sung by original frontwoman Susan Amway (good) and shaken up with a “Sympathy for the Devil”-style backbeat (great). “I Don’t Believe You” changes keys and takes on a Martian “Telstar” feel. If any theme emerges, it’s an accidental meta-comment on the Merritt oeuvre’s own programmatic nature. 69 Love Songs turned love into a science, referenced in one big text in “The Book of Love” and studied under the microscope from all angles everywhere else. i was rather self-loathing, obsessed with heartbreak, distrust and replaceability. And Obscurities takes that to one logical extreme: inhuman infallibility. “The Sun and the Sea and the Moon” (“You can love them and they don’t die”) was cut from 69 Love Songs for not being about “romantic love,” while another song deadpans “I live among the robots now/ But I’ll find my way out somehow.” With all the alien synth settings in tow, particularly the Gary Numan-esque crunch of “Scream (Till You Make the Scene),” he sounds all but ready to cover Kraftwerk’s “Computer Love.” After all, you never knew if those guys were joking either.